The Cameroonian Hip Hop music scene cannot be exhaustively talked about without making mention of the name ‘’DENZYL’’ a.k.a Den of Zeal. DENZYL is a Cameroonian born Afro-beats, Hip Hop artiste who is inscribing his name and leaving an indelible mark in the Hip hop scene in Cameroon. His debut concert dubbed the DENZYL FIESTA held on the 20th of May 2009 at Amphi 750 in the University of Buea which saw a huge audience thrilled and well entertained. This event was spiced by other stunning performances by guest artists like Bright Phase,KORA nominees 2008,Sley,Steveslil,Witty,Sharen,Sparx,Da Mentors and H-Pizzo. All music lovers who stormed Amphi 750 on that day were satisfied with the performances and most could not hide their sentiments affirming how promising the industry is with enormously talented artistes who hit the stage that night.’’Denzyl’s songs ‘’E don blow and U stole my heart away’’ were on the lips of every fan. 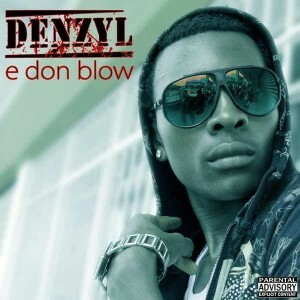 Denzyl’s debut album entitled ‘’E don blow’’ was produced in Nigeria by J Sleek, a producer who has worked with household music names in Africa in the lights of 2 Face,Faze,Chuddy k and Sound Sultan. Some songs were also produced by Jedi of Chillen music a Buea based recording studio. ‘’E don blow ‘’ is a rich and stunning package that will receive international acclamation by all music lovers. The album is due to be released soon. Keep it up bro,n watchout 4 our album next month.EMPERORZ is our name. you are doing well and make sure you keep it up .